When you’ve been injured, everything can feel more difficult. It can be hard to do your job, it can be hard to sleep, it can be hard not to worry – all the things you took for granted can be that much harder to do. With that said, it may take time to recover, and to learn how to do things in a new way. Hopefully, you have people around you who care about you very much. Hiring Los Angeles personal injury attorneys and lawyers, like the LA Injury Group, can give you one less thing to worry about. Dealing with an insurance company is never easy. These are some tips the LA Injury Group offers to make it just a little bit easier. After you’re injured in an accident or other kind of incident, the insurance company will probably come to you. They might offer you a settlement right off the bat. The adjuster (or other insurance company rep that you’ll talk to) may seem like the friendliest person. They’re sorry for your injury, it’s a shame to meet you this way, any way the insurance company can help, and so forth – those are just a few of the ingratiating things that the person from the insurance company might tell you. They could seem like they’re your friend. Los Angeles personal injury attorneys and lawyers from the LA Injury Group are here to tell you: they aren’t your friend. Indeed, insurance company employees are exactly what they are: employees of the insurance company. That’s not to say they aren’t good people deep down. It’s just that, when you meet them, they aren’t there to make things better on your behalf. They’re there to make things better for the insurance company. You, and your injury, represent a cost to them. You are a dollar sign. When they look at you, they see money: potentially gained or lost. You must keep this in mind when you talk to them. The insurance company sends someone to talk to you on their behalf. The insurance company has seen many cases like yours. They know what it could potentially be worth. The person they’ve sent to talk to you and make you an offer does, as well. The only person is in the interaction who probably doesn’t have experience with personal injury cases and law is you. That is why it’s so critical to have Los Angeles personal injury attorneys and lawyers on your side like the LA Injury Group. They know the law, they have the experience, and they can use both on your behalf. Typically, the first thing someone from the insurance company does is make a settlement offer. This can seem like quite a bit of money. That’s particularly true if you’re hurting, running low on funds, or scared. It’s important to keep in mind, though: that’s probably a low ball number. The first offer from the insurance company is almost always less than your case is actually worth. They’re betting that since you don’t have an attorney, you won’t realize that. Never sign something from an insurance company without an attorney looking at it first. Understandably, it can be especially hard to not sign the settlement when the insurance company has offered a large settlement right off the bat. However, that’s an even bigger reason that you should talk to a lawyer first. A big settlement offered early by the insurance company is a clear sign that they realize what your case could be worth. You owe it to yourself and those around you to make sure that you’re getting the most compensation possible for your injuries, pain and suffering. That’s just one of the ways that the insurance company works to trip you up. Another underhanded, but seemingly innocuous thing they do is ask you to give a recorded statement very early on, or without a lawyer present. This may seem like a perfectly innocent thing, but remember: like everything else the insurance company does, it’s always with the ultimate goal of minimizing your recovery. A recorded statement to the insurance company isn’t an opportunity, it’s a minefield. Avoid at all costs. When the insurance company asks you to give a recorded statement, they’re hoping you’ll say something that can be used against you later to make sure you get less money. An example that Los Angeles personal injury attorneys and lawyers see sometimes is when the insurance company asks the injured party: “how are your injuries?” Unfortunately, and too often, the injured party says something like “Not too bad,” or even something like “I’m getting through it.” Again, this may seem like nothing, but it can cost you a lot of money. The reason for that is that you don’t know how bad your injuries are going to be for a while. Even if you’ve been diagnosed by top medical professionals quickly after your injury, you won’t know the full extent of their severity for some time. So, say you suffer a neck injury in a car crash, but your head feels OK. You tell the insurance company “it’s not so bad, I’ll be all right,” and then, a few months later, you develop chronic pain in your neck, you might in trouble. In this instance, you can try to recover compensation for the neck injury, but the insurance company is going to have that recorded statement you gave. No matter how much pain you’re in, no matter how much recovery you’re going to need, or even the amount of medical care you’re going to need for the rest of your life, you may not get that compensation. Why? Because the insurance company is going to be able to play that tape where you said “I’m not that bad.” All the more reason to get Los Angeles personal injury attorneys and lawyers involved in the process quickly. Again, this comes down to training and experience. The person who takes your recorded statement with the insurance company is trained to do so. Moreover, they’ve been trained by the insurance company to trip you up and get you to say things that will be damaging to your case. It’s unlikely that you have the same training. By that same token, there’s just no upside to it for you. 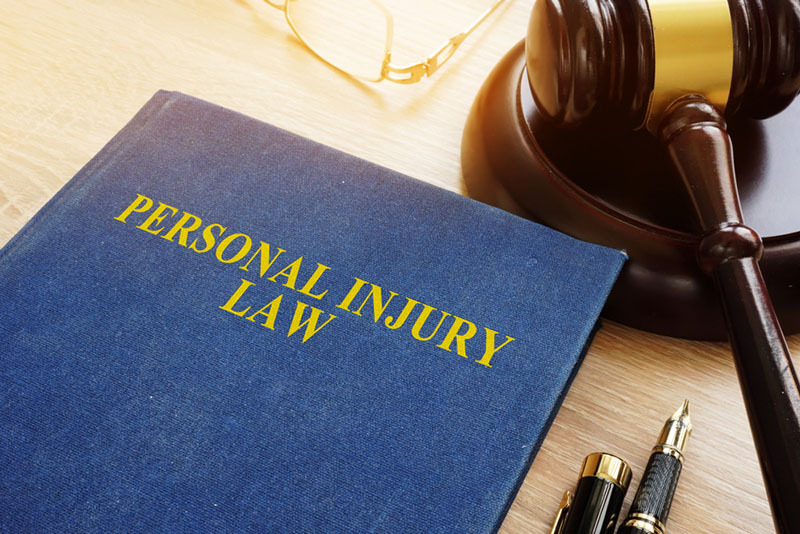 There are so many other things you could be doing that will help your personal injury case more, like talking to lawyers at the LA Injury Group. One thing you can do that which can help your case quite a bit is to take pictures. Take as many pictures as you can of things related to the case. If you were in a car accident, and you’re feeling up to it, take pictures of the wrecked vehicles. Take pictures of the road, where the cars hit, skid marks, anything else. There’s no downside to taking these pictures. In many personal injury cases, the evidence gets wiped away or disappears quickly. So, the more evidence you can generate yourself, the more evidence you may ultimately have. The same goes for your injuries. Taking pictures of your injuries is a great way to document them. They can be an invaluable tool for your legal team. They can use them in negotiations or in court, should the case go that far. The LA Injury Group has experience with all kinds of accidents and incidents that lead to personal injuries. Insurance companies have some of the best attorneys in the world on their side; shouldn’t you have attorneys to match? Learn how it works by calling (818)210-4558 or going to their site for the best Los Angeles personal injury attorneys and lawyers.